Gorgeous cushion for a special sister! 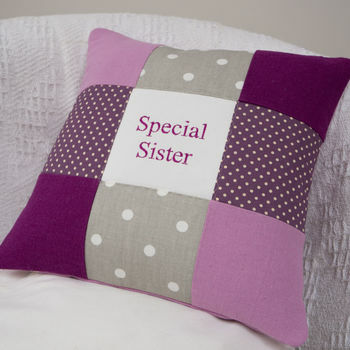 Why not treat your sister to this beautiful cushion? 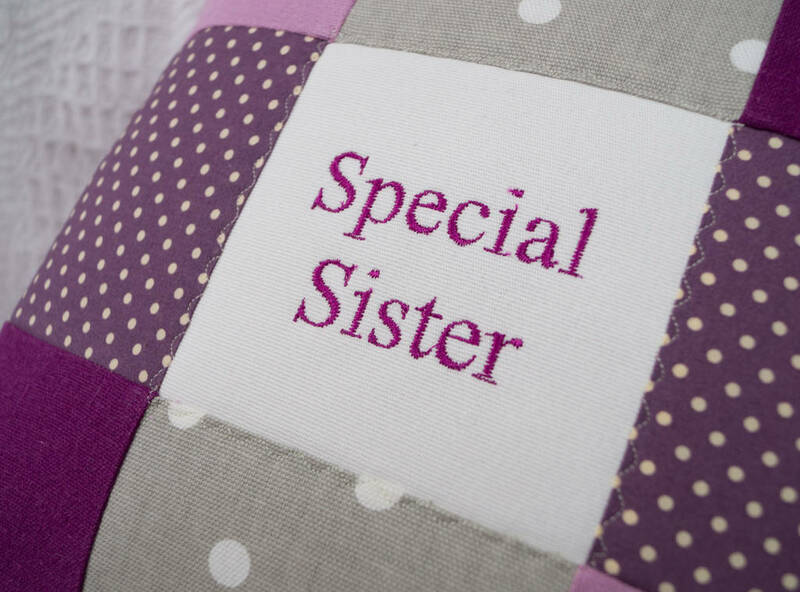 Handmade using purple floral cotton and contrasting natural and lilac linen, this patchwork cushion is embroidered with the saying 'special sister'. If you would prefer to choose your own saying please specify when ordering. The cushion is fully lined and complete with a feather pad.